The mysteries and memories of baseball’s greatest heroes are revealed in Fastball, as it features interviews with dozens of former players, from legendary Hall-of-Famers to up-and-coming All-Stars, including Hank Aaron, Nolan Ryan, and Derek Jeter, with narration by Kevin Costner. 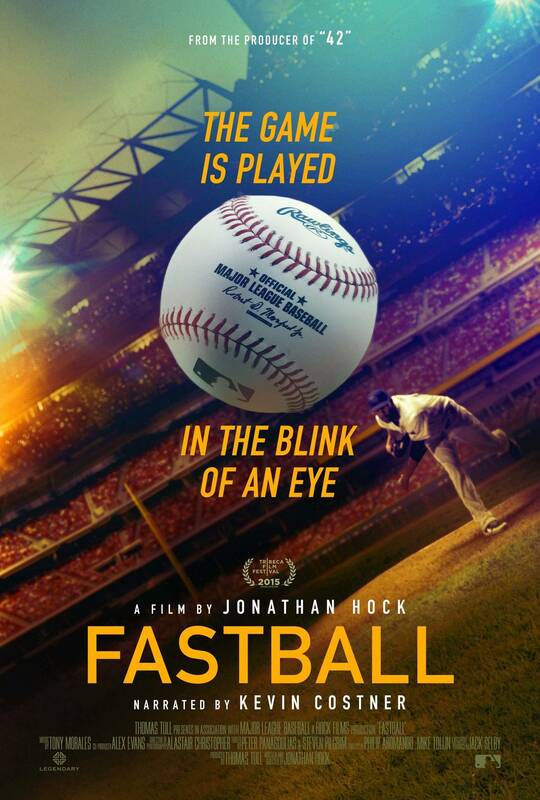 Fastball is peppered with archival footage of baseball's greatest moments, plus original highspeed 4K footage and motion graphics that unlock the secrets hidden within a ball traveling over 100 mph. While players, historians, and scientists might disagree on who was actually the fastest pitcher in history - and yes, the film does the physics and concludes with a clear verdict – Fastball tells the story of the game itself. Shown at the Detroit Historical Museum. Running Time: 86 minutes. Admission is FREE.